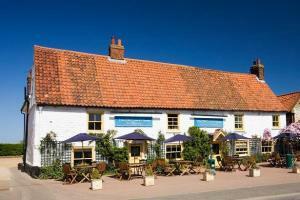 Choose from 129 hotels and guest houses in Norfolk. Shown below a just a selection of the hotels available. To search within an area please use the menu on the right. 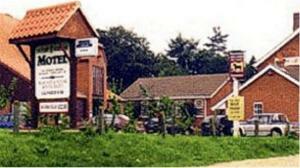 The Kings Head Hotel, in the picturesque village of Great Bircham, is the most contemporary hotel in Norfolk. A country house hotel, set on the Sandringham Estate that boasts unparalled views, set in tranquil surroundings. Close to the coast, Sandringham and Houghton Hall and within easy reach of Norwich. 9 individually decorated bedrooms with facilities that include playstations, homemade cookies and minibars. Stylish restaurant serving excellent food, both lunch and evenings. Welcoming bar with open fireplace and comfy chairs. In the small Norfolk village of Dersingham, only a mile (1.6 km) from the Royal Sandringham Estate, this former coaching inn offers en suite rooms, free Wi-Fi, a restaurant and 3 bars. Built from local carrstone, the Feathers Hotel is steeped in royal history. In 1882, the hotel was purchased as part of the Sandringham estate for Albert Edward, Prince of Wales. The rooms are individually decorated in a simple country house style and each has a TV and tea/coffee making facilities. 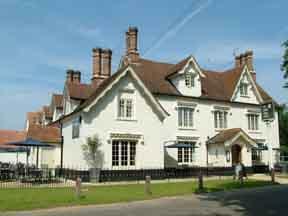 The hotel's main Sandringham bar has a large open fire and leads out onto a heated patio and 2 large gardens. The first garden has plenty of seating and a children's play area. The second garden has a pond and offers a quiet relaxed environment for adults. The Saddle bar is used for events, such as quiz nights and the Stable Tap shows live sporting events on television. There is plenty of free on-site parking for guests. This luxury bed and breakfast accommodation is situated in an idyllic romantic setting, in a peaceful countryside location a short drive from the picturesque north Norfolk coast. Felbrigg Lodge adjoins the southern boundary of Felbrigg Hall, a 17th century country house and estate owned by the National Trust. Amongst these magnificent countryside surroundings you can relax and unwind in style. Set within an 8 acre oasis of beautiful grounds, here, you will find over 50 species of birds and other wildlife among the lawns, specimen trees and shrubs. Beyond the grounds, wooded hillsides give way to rolling fields and miles of fine sand beaches and dunes. Whether your break is for business or pleasure, Felbrigg Lodge offers bespoke accommodation, delicious home cooked food using fresh local produce, a private indoor pool, gym and real space to relax and breathe in the fresh country air. Completely renovated from the derelict mill and outhouses that stood dormant since 1940, Yaxham Mill consists of renovated cottages located just 2 minutes from the A47. The family-run Yaxham Mill has a relaxing countryside environment, a highly acclaimed yet informal restaurant and a bar serving Real Ales. 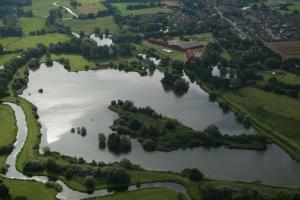 It is within easy reach of the Norfolk Broads, Cromer, Holt, Great Yarmouth and is 12 miles from Norwich. The sympathetic conversion has created a modern environment, rooms with great showers, flat-screen TVs and Wi-Fi internet access. The Old Coach House is located in the centre of the historic and scenic village of Thornham, with free parking, free Wi-Fi and easy access via the A149. All bedrooms at the Old Coach House have been decorated to add to the charm of this old building. The hotel has 12 en suite rooms, a restaurant, lounge and bar. The Old Coach House is the sister hotel to The Lifeboat Inn, a charming 16th-century smugglers alehouse, situated a 10-minute walk away (or 1-minute drive). Check-in and check-out is at the Lifeboat, so please make your way there upon arrival. 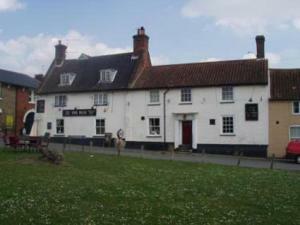 This bed and breakfast is 100 m from Great Yarmouth's sandy beach and is walking distance of the market and town centre. Close to Britannia Pier, theatres and Pleasure Beach, The Marlborough Guest House is well located for Great Yarmouth's attractions. Visit the new Yarmouth Eye, Sealife Centre, pubs, clubs and restaurants. Beautiful golden sands, amusements, donkey rides, boat trips to see seals or The Broads are all available in Great Yarmouth. Just one mile (1.6 km) from Norwich International Airport and only 1.5 miles (2.4 km) from the city centre, the hotel offers comfortable, modern rooms, free parking and an indoor pool. The Ramada Norwich has a good location, within easy reach of all that Norwich has to offer, including the city's great shops. Norwich is rich in history and has the most medieval churches in England, as well as the famous Cathedral and Norwich Castle. Great Yarmouth, the Norfolk Broads and the stunning beaches of the North Norfolk Coast are also within easy reach. All of the rooms have the latest LCD flat-screen TVs, crisp cotton bed linen and luxury beds. The hotel's restaurant and air-conditioned bar offer international dishes and contemporary bistro food in stylish surroundings. Room service is available 24 hours a day. The Sebastian Coe Leisure Club has a heated indoor swimming pool, a sauna, a spa and an air-conditioned gym. Gissing Hall is a listed family mansion, dating back to the fifteenth century. Once the centre of an estate, it is now the home of its owners, Ann and William Brennan. This family owned country house hotel boasts 18 bedrooms of which three are four-poster suites. All bedrooms are en-suite & non-smoking, with private bath and/or shower and are designed with their own individual character. Please note: All bedrooms are currently being upgraded & others being built, including disabled/ground floor rooms. 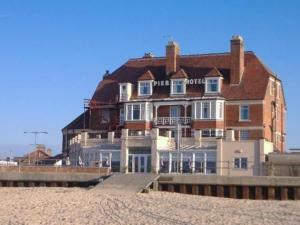 With a beautiful location and magnificent views overlooking Gorleston Beach and the River Yare, the Pier Hotel is right on the seafront and offers free wireless internet access throughout. Now a 3-star establishment, the Pier Hotel offers relaxed surroundings, good, home-cooked food, great wines and friendly service. The hotel can also host functions and special events. All of the comfortable and attractive rooms are en suite and have hairdryers, TVs, telephones, tea/coffee making facilities and toiletries. The hotel offers a varied menu, including fresh fish, grills and vegetarian options. Dishes are made using high quality ingredients and locally sourced produce, freshly cooked and attractively presented. Free private parking is available for guests. The newest hotel in the city is located on the site of the Norwich Sports Village, next to Esporta health club, Norwich Golf Club and the city's ice rink. You can take advantage of these facilities for a discounted rate. Bedrooms are all air conditioned throughout. The hotel is ideal for the business or leisure traveller, with easy access to Norwich city centre and airport. In the heart of Great Yarmouth, just 30 seconds from the seafront and the Britannia Pier, this 24-bedroom bed and breakfast hotel and guest house offers good value accommodation. Just 3 minutes from the town centre, the Trevross Hotel is within staggering distance of all of Great Yarmouth's best pubs and clubs, and is easy to find. All guests are given their own key and are free to come and go as they please, accessing the hotel at any time. For a relaxing stay, you can take advantage of a late breakfast, a late check-in, and a late check-out. All of the Trevross Hotel's 24 rooms have TVs with Freeview digital channels and tea, coffee, hot chocolate and bottled water. Towels and toiletries are included and rooms are serviced daily. Located on the A149, just minutes away from Great Yarmouth and Norwich, this family-run hotel provides a peaceful location in Rollesby, on the Norfolk Broads. Ideally suited for business guests (free Wi-Fi ) and holiday-makers, the Horse and Groom Hotel is ideally situated for exploring the 100 miles of waterway that make up the Broads. 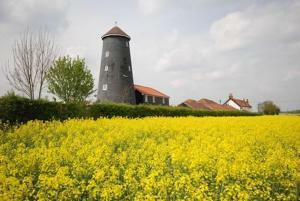 The many attractions of Norfolk and North Suffolk are also nearby. After a day's travel or sightseeing, why not relax in the uniquely designed bar? Its warm and friendly atmosphere makes it a popular meeting place in which to enjoy home-cooked meals and a selection of beers, wines and spirits. Boasting spectacular views out over the North Norfolk Coast, and set in the peaceful town of Mundesley-on-Sea, this historic hotel is great for a relaxing or romantic break. Dating back over 100 years, the Manor House Hotel has a fantastic restaurant serving traditional British food, as well as 2 comfortable bars, open from 11:00 until 23:00. The hotel also has 2 function suites with views of the North Sea. There are 25 relaxing en suite guest rooms, many with sea views. Every room has a minibar, TV and tea/coffee. Within easy reach of Norwich and the wonderful Norfolk Coast, the Manor House Hotel provides is an excellent base for hiking, cycling, walking or relaxing. Positioned close to Great Yarmouth's beach, amusements, pubs and caf?s, this small, family-run B&B boasts 3-stars and a Silver Award for Great Yarmouth and Gorleston in Bloom 2008. All rooms are decorated individually. Double rooms feature 6'x6'6" beds for a comfortable night's stay. Enjoy a full English breakfast in the nautical themed dining room and relax while you watch the fish in a large tank. With a cliff-top location on the North Norfolk coast, this hotel has 4 acres of gardens and terraced lawns leading down to the foreshore. 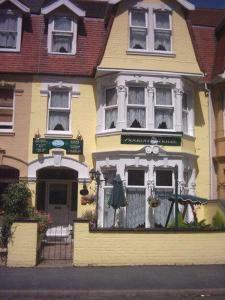 The Sea Marge is located in the peaceful village of Overstrand, 2 miles west of Cromer. It is an elegant Edwardian building steeped in history where the 25 en suite bedrooms combine unspoilt original features with the best of 21st century style, facilities and comforts. Close to Royal Sandringham and the Norfolk countryside, in the historic town centre of Kings Lynn, this small, friendly hotel offers well-appointed rooms, an excellent restaurant and a charming bar. This tranquil, peaceful oasis is hidden away in the very centre of the small medieval town and historic port of King's Lynn. Surrounded by its own peaceful, restful gardens, the hotel is quiet and secluded, and yet very central, with the towns bus and rail stations within easy walking distance. The original building dates back to Victorian times, when the house was the private residence of one of the areas most prominent businessmen. There is ample free parking available for guests use and the traditional bar offers a range of drinks, including real ales. The hotels now offers 3 nights for the price of 2 offer, representing great value for money. (Please adjust your dates to see offer). This stunning 18th century Georgian Merchant's house is set in its own grounds close to the heart of one of Norfolk's most historic market towns. Built in 1746, Lydney House provides a peaceful and atmospheric base for your stay in beautiful Norfolk. 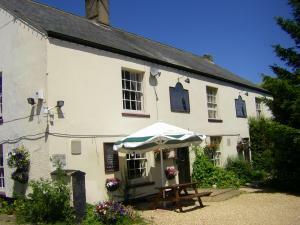 Enjoy our garden or patio, or relax in the fully licensed Lydney bar complete with traditional games. The restaurant serves popular traditional food in a comfortable informal environment. Much of the menu is home cooked with local produce. 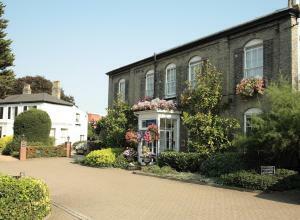 Lydney House is ideally placed for touring Norfolk. Driving the coastal road from Hunstanton to Cromer makes a good day out and includes the picturesque towns of Sheringham and Wells-next-the-sea. Consisting of 3 Grade II listed Georgian buildings, the hotel is situated in a pretty tree lined conservation area only a short stroll from the city centre. Opened as a private hotel in the 1930's by Mr WD Gibbs, the hotel has been owned and operated by the present owners David and Jill Reynolds for the past 21 years, over which time it has been continually upgraded and now provides a high level of comfort, with every effort being made to make you feel relaxed and at home. Standing in 3 acres of landscaped gardens, with ample car parking, the hotel remains a quiet retreat from the bustle of the 'Fine City' of Norwich. A warm and friendly welcome always awaits you. Conveniently located just 5 minutes away from Norwich Train Station, Stracey Hotel provides a contemporary base from which to explore lively Norwich City Centre. Stracey Hotel provides spacious and contemporary en suite rooms, with free broadband access and Freeview TV. The hotel has a snug lounge area, comfortable restaurant and a relaxing bar. Al fresco dining is possible during the summer months. The Riverside Entertainment area, which is the hub of the vibrant riverside quarter, is close to the hotel, with its many bars, clubs and restaurants. Castle Mall Shopping Centre and a wide variety of shops are within easy distance of the hotel. Marina Guest House offers comfortable, good value bed and breakfast accommodation, with free Wi-Fi. The beach and the town centre are close by. All rooms at the Marina have cosy beds and some rooms feature Freeview TV. An inclusive full English breakfast is served in the dining room and the hosts are friendly and welcoming. Great Yarmouth Rail Station is a 5-minute drive away. The Pleasure Beach is a 10-minute walk from the guest house. Free parking is provided. 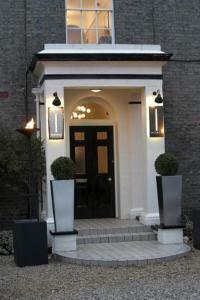 Andover House is a restaurant with rooms, exclusively for adults. It stands on a beautiful tree-lined avenue, a moment's walk from the beach and the tourist centre of Great Yarmouth. The house was transformed in May 2008, and its lovely bedrooms and fine-dining restaurant blend traditional and luxurious modern designs. The en suite bedrooms have plasma TVs, tea/coffee-making facilities and lovely furnishings. The beautiful, family-run Victorian house was recently awarded 'Guest Accommodation of the Year' and 'Investment in Tourism' at the GYTA Awards. The lounge, wine bar and restaurant were awarded an AA Rosette. Your choice from the cooked breakfast menu is included in the room rate. On a quiet tree-lined road overlooking Wellesley Park, Beaumont House has received a 4-star Silver Award for providing excellent accommodation combined with personal service. 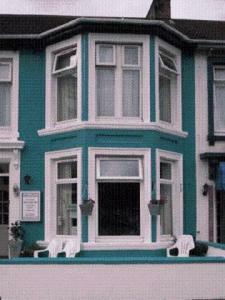 Just a leisurely 5-minute stroll from Great Yarmouth's seafront and the town centre, this fine old Victorian house offers luxurious comfort, a warm welcome and a relaxed atmosphere The guest lounge has a large plasma-screen TV with Freeview digital channels as well as free Wi-Fi wireless internet access. All rooms are en suite and there are 2 rooms with full en suite spa bathrooms. A full English breakfast is included in the price. Beaumont House is family run by your hosts, Mick and Alison, who are dedicated to offering excellent accommodation and a high standard of personal service. Beaumont House was a previous winner of the 'Best Bed & Breakfast' guest house category at the 'Tourism in Norfolk Awards'.